Did My Dentist Go To Dental School? You bet! In fact, he/she did a whole lot more than just show up for class. It takes a lot of preparation to get into dental school. Chances are, your dentist was busy becoming a dentist long before they were accepted into dental school. Most students will get a bachelor’s degree before they start dental school. This degree can be in anything that deals with the sciences but is typically in biology or chemistry. In addition to a bachelor’s degree, dental schools also look for other attributes in a potential student. Students will spend time giving back to their community through community service. They will also spend time practicing manual dexterity, which is the ability to use their hands in a skillful way. Many students find it helpful to shadow a dentist. This is a time when they can follow a dentist around the office to watch them do procedures, ask questions and get a general idea of what it takes to become a dentist. Students are required to take the DAT, or Dental Admission Test, before being accepted to dental school. The test takes over 4 hours to complete and asks questions about science, math and problem solving skills. This test is used to measure a students academic ability, scientific understanding, and perceptual ability. Students are also kept busy with the dental school application process. They must gather recommendation letters, schedule interviews and sometimes attend postbaccalaureate programs where they will finish any missing class requirements. After all that hard work, once they have been accepted into dental school then the real work begins. It takes four years to complete a dental program. Typically they will spend the first two years learning all about the human body and the sciences behind it. The remaining two years are mostly spent in a clinical setting where they can learn from a clinical instructor and gain real life dental experience. Dental school is not an easy walk in the park, it takes dedication and hard work. 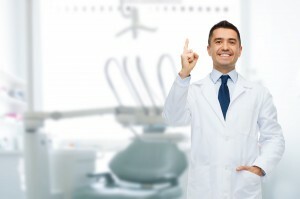 Your dentist studied hard in order to help give you a great smile.